This book was lent to me by @BRADS and with the authors permission and brads request it is up for the forum library. Let me know your postal address and I will forward too the next reader. Then who ever has it nexts can forward it on too the next reader.Cheers Dundee. BRADS and Boulderman like this. Dundee and Boulderman like this. Do you wana go next? We talking about the book? sako75 and Toby like this. Ha ha put it away! currently reading the same book. 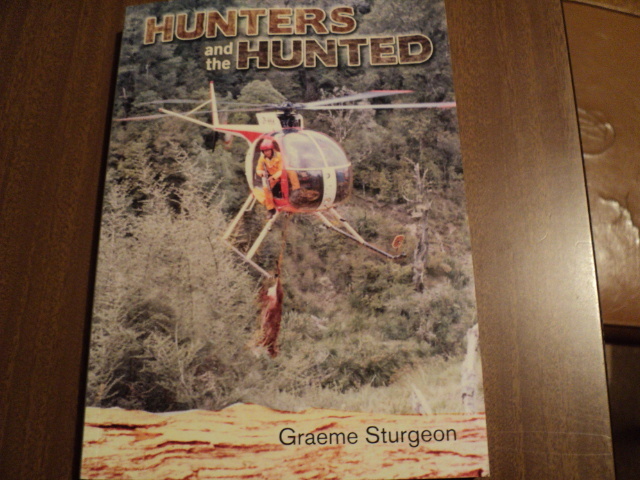 very well written @Graeme Sturgeon every chance i get i am reading it. We will talk more on the weekend at your shoot about, good books, good woman, good guns and good booze. See you late Friday, I will keep out of your hair because I know you will be busy. As you know I am travelling fully self contained and can camp anywhere. If you need a hand let us know I could come up anytime Friday if you wanted. Is there anything you would like me to bring??? Don't say 'fish' cause the little devils are hard to catch this week. I am still trying though. 1 not very big snapper and three flounder yesterday. Rushy would clean that lot up in a sitting. @Graeme Sturgeon you are very welcome to turn up anytime you like. we could go bunny busting if you like. Has anyone hunted at paparangi ?